The only difference from the wiring diagrams you have been given, assuming the magneto is still original rather than having an external coil, you would not use the shown ignition switch and coil wiring. The magneto is stopped by grounding, and uses a single wire system from the magneto to the switch, and the switch grounds the wire when it is pushed in. Out of curiosity I would like to see a picture of how your regulator is mounted, I did not think there was enough room to mount a regulator on the side with a magneto. Below are pages from the 1955 Cub owner's manual showing wiring, the voltage regulator, Battery Ignition unit, and magneto. It shows in the lower right pic on the 1st page that IH used the magneto and voltage regulator. Or the Battery Ignition unit and voltage regulator. The numbers on the 1st page are explained on the 2nd page. There is a pic of under the hood on the 2nd page. The 1952 Cub owner's manual shows these pics too, it is at Quick links above, it won't let me post it here. 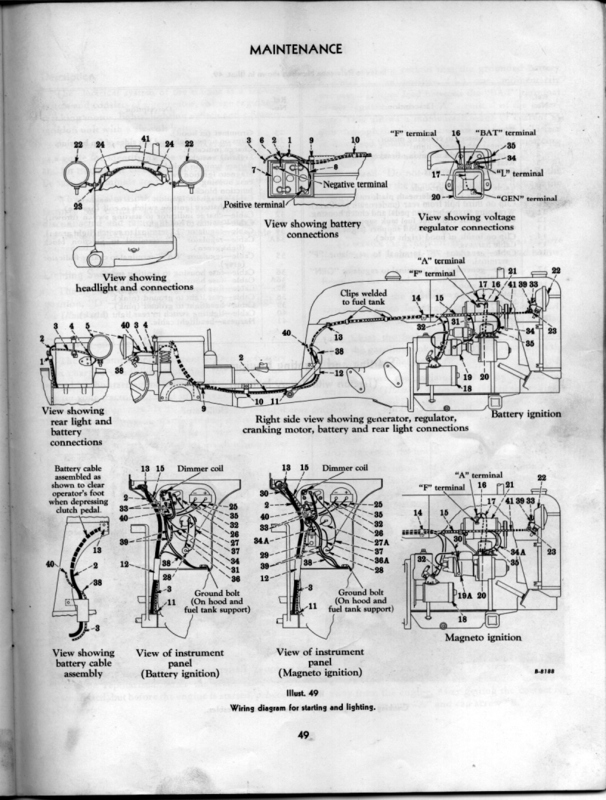 You could compare your wiring to the wiring in the manual above, it is the same as the diagram I posted before, I think, except for the ignition switch, like John said above. There is a pic of the switch wiring in the dash pic with magneto on page 1 above. Do not connect battery power to the small post on the side of the magneto, if it still has the original type coil inside the magneto. Below are pics of an original type magneto ignition switch, from TM Tractor. It has one post for a wire. They have new switches there if you need one. 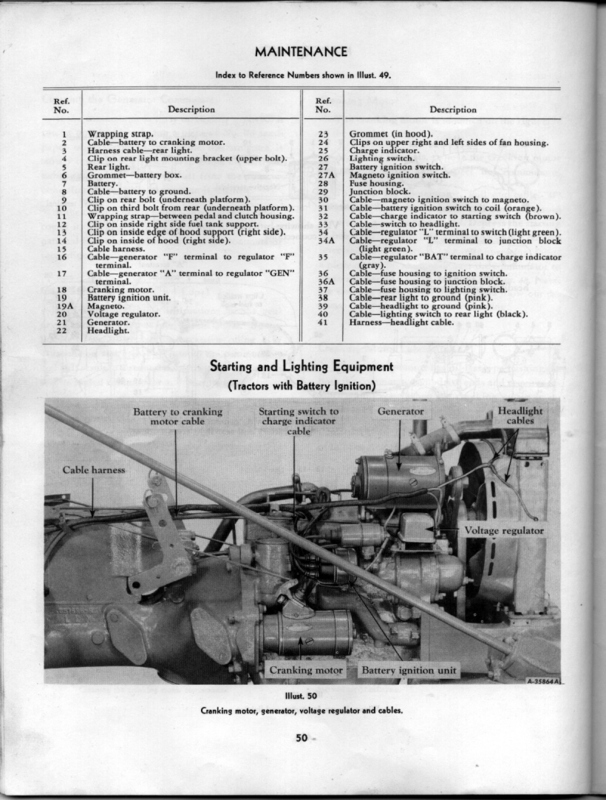 John, below is a manual for the electrical package IH offered in 1951, to put an electrical system on Cubs without it. This was after the voltage regulator came out, and it shows the regulator being used with the magneto. A diagram is on page 10.